Wellington has been the capital city of New Zealand since Parliament moved here from Auckland in 1865. Wellington Philatelic Society, host for the show, considered 150 years of Government in Wellington was a good reason to celebrate with a National Stamp Exhibition to include a challenge between New Zealand and other nations. The show is now over. The doors closed at 4:00pm on Sunday 25 October on what appears ot have been a very successful exhibition. The entries from overseas, supported by our local exhibitors ensured the material was everything we had hoped it would be. Some of the overseas exhibits were particularly eye-opening. Exhibitor results can be found at Exhibition results and Literature results. Congratulations and thanks to all exhibitors. The specially overprinted miniature sheets available at the show sold well but there are a number left which can now be purchased. We also have a some of our CAL products remaining on sale. Please check our latest product form. Less than five days to go! The organising committee is putting the last things in place for the opening on Friday 23 October. Early on Thursday a group of volunteers will be erecting the exhibition frames ready for the exhibits to be mounted later in the morning. Dealers booths, the front counter, reading area and the Youth Court will be prepared and shortly after midday the jury will be starting their judging of exhibits. All in readiness for the official opening by Mayor Celia Wade-Brown at 10:00am on Friday. NEW product available at the show! The organising committee has arranged overprinting of miniature sheets from the booklets produced by New Zealand Post for the ‘Spirit of Anzac’ 2015 World War One Centenary issue. These will be available to people at the show. When you purchase a Show catalogue a complementary miniature sheet (selling at $5) will will also be provided as long as stocks last. Other miniature sheets will also be available (see the miniature sheet product list). Check the programme at Robert Samuel Memorial Lectures Programme and make sure of your tickets. For catering purposes we need to have confirmed numbers no later than Friday 23 October. Entry is by ticket only and the $25 covers morning tea and lunch. Contact vernall@xtra.co.nz with your order. The extension of the closing date provided an opportunity for a number of people to add an exhibit. The organising committee was pleased they have been able to accept all entries received. There will be 538 competitive frames on display and 43 invited frames. The Nations Challenge entries include many highly regarded international exhibits many of which we would not otherwise see in New Zealand. Bulletin 3 has been distributed to societies and can now be found on this website. Among other things it details our third series of CALs and related products as well as a special, very limited, commemorative cover. Check below for details. A strong dealer representation will be present selling and buying. For a full list check Bulletin 3. Tickets for both events are now on sale. These are limited (due to venue capacity) so be in quick. Order using the latest Product order form. We still have space for more entries and have decided to extend the closing date to give you a chance to consider entering an exhibit or an additional exhibit. The new closing date is 25 July 2015. Remember, this exhibition is the first that provides for 2-frame exhibits. This could be a great opportunity for you to try out that exhibit you have been planning but haven’t quite yet got the material for 3 or more frames. The special meeting of the Wellington Philatelic Society described in Bulletin 2 is going ahead. Six prominent overseas philatelists will be presenting the 2015 Robert Samuel Memorial Lectures. Make sure your travel arrangements allow you to stay over that extra day after the show to take part in this event. More details will be provided in Bulletin 3 scheduled for release in August. Thailand has confirmed its entry into the Nations Challenge raising the number to six. The Emirates Philatelic Association has confirmed it will be coming to The Capital Stamp Show 2015. At this time we cannot confirm it will be entering the challenge but it will be provide some additional entries of material we would rarely see here. Bulletin 2 has been distributed to societies and can now be found on this website. Among other things it details our second series of CALs and related products. Check elsewhere below for details. We are pleased to advise that Canada and China have accepted our invitation to take part in the Nations Challenge. We are still involved in discussions with some other countries but it is very pleasing to have five confirmed entries (Australia, United States, Canada, China and, of course, New Zealand). Australia has appointed a new commissioner, David Benson of New South Wales. Contact details for Canada, China and for David Benson can be found in the Prospectus (updated 27 March 2015). 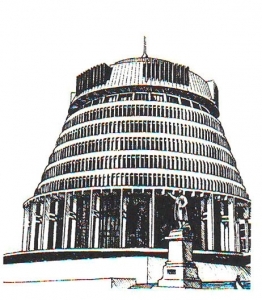 The 14th New Zealand National Philatelic Literature Exhibition is to be held in conjunction with The Capital Stamp Show 2015. All competitive entries will be judged prior to the Stamp Show and they, along with a wide range of non-competitive literature, will be available for viewing at the show. Full details can be found in the Literature Exhibition Prospectus. The organising committee is continually developing material that will further describe the event. . If you would like to be advised when this material and any future news is available please register your interest at Capital 2015. The prospectus documents key dates for exhibitors, details of overseas commissioners, a list of exhibiting classes to be provided at the show, the exhibition regulations and the entry form. All of this is essential reading for prospective exhibitors. The literature prospectus documents key dates, details of the exhibiting classes (including electronic media) both competitive and non-competitive as well as the exhibition regulations. Entry is FREE and no entry form is required. The exhibition organising committee plans to issue a number of bulletins leading up the show. These will provide background information for both exhibitors and visitors. 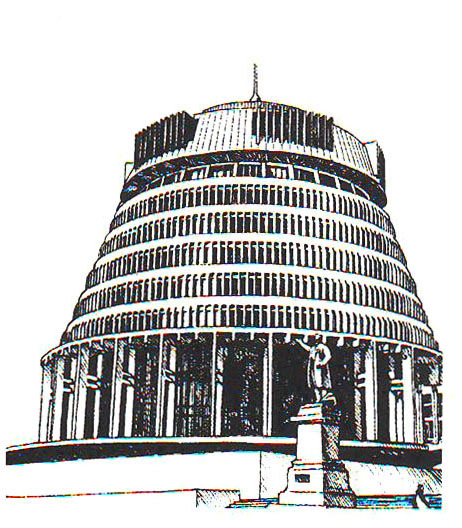 Our first bulletin introduces the show, Wellington City and the venue. It informs you about the organising committee, describes the Nations Challenge, tells you how you can contact us and how you could take advantage of advertising options. It also describes the first series of two CALs (Customer Advertising Labels), produced for the show by NZ Post, and related products. In our second bulletin we announce the 14th National Philatelic Literature Exhibition and include, among a range of other items, an article from our Jury Chairman giving advice to exhibitors on how to improve medal prospects and give some hints regarding accommodation and transport. It updates information on the organising committee, describes the Nations Challenge, tells you how you can contact us and how you could take advantage of advertising options. It also describes the second series of two CALs (Customer Advertising Labels), produced for the show by NZ Post, and related products. In our third bulletin we provide information for exhibitors on how to send their exhibits; provide updates on the Nations Challenge and Literature exhibition; provide details of the Palmares, special meetings at the show, and the Robert Samuel Memorial Lectures 2015; give details of NZ Post’s special postmarks to be used at the show; list the dealers who will be present; give full background details to the third series of CALs, describe the special commemorative cover for the 150th Anniversary of Parliament in Wellington and give advance notice of special overprinted miniature sheets that will be available at the show; and, provide some updates relating to accommodation, transport and parking. The order form applies to all products remaining on sale and described in Bulletin 1, 2 and 3 and in our Updates above.